I've walked by Jo Malone counters in higher-end department stores for years, but never felt worthy enough to stop and take a look. I always assumed that the price point was out of my range, and the sales girls looked intimidating to me. But now that I'm older, a bit more confident, and a self-proclaimed beauty enthusiast, I decided to let go of my misgivings and pop into Bloomingdales. I made a beeline for Jo Malone, and to my surprise, the SA was not only extremely kind and helpful but she also allowed me to test, spray, and basically annoy her with my questions and requests. When I was in high school and even into my twenties, I gravitated towards sweet and fruity fragrances. You know, the kind that all your friends wore and that could be easily found at any department store counter. Usually it was celebrity endorsed (I'm talking Jessica Simpson and J Lo). I don't regret my choices back then because I didn't know what I was doing and I just bought what smelled good on other people. Needless to say, I cannot stand those scents now! Too sickly sweet and artificial smelling. I'm not a perfume snob, but I went into this purchase with the intention of smelling REAL. A scent that can be found in nature and not in a chemist's lab. Wood Sage and Sea Salt was love at first whiff. And trust me, I smelled them all, coffee beans firmly against my nostrils after each test. This will come as a shock to no one who regularly reads here, but I LOVE the ocean and anything that reminds me of a day (or night) at the beach will instantly draw me in. The notes are fresh, light, but with a little musk. As quoted directly from the Jo Malone website, I feel this is the perfect description: "Escape the everyday along the windswept shore. Waves breaking white, the air fresh with sea salt and spray. Alive with the mineral scent of the rugged cliffs. Mingling with the woody earthiness of sage. Lively, spirited, and totally joyful." Damn. Well I couldn't have written it better myself, so there it is. This cologne in all its glory. Notes: Sea salt, Ambrette seeds (whatever those are), sage, red algae, and grapefruit. Price Point: 1 oz. for $65 dollars. A little steep yes, but worth it in my opinion especially considering the price of perfume in general these days. The larger bottles are $130. Yikes. Lasting Power: I wouldn't say that it lasts a full day, but my trick is to spray my pulse points as well as my actual clothing so that you get the true scent. It fades rather nicely and settles very clean on my skin. Of course this will be different on everyone according to your body chemistry. Another thing I didn't realize when I was younger. However, I highly recommend this and will definitely be trying others from the line in the future. I'm hooked. I love Jo Malone perfumes but sadly find they don't last long on my skin...but I do keep them for layering. I have the mini sampler kits - and have received the full size Orange Blossom as a gift. I think my fave is the classic Lime Basil & Mandarin. I'm a bit of Jo Malone snob, lol! I adore their bath oils especially and just cannot leave the shower without lathering one of them on too. I always travel with a mini bottle as well. My fave scent is blush suede and peony. I tend to stock up in European duty free's. 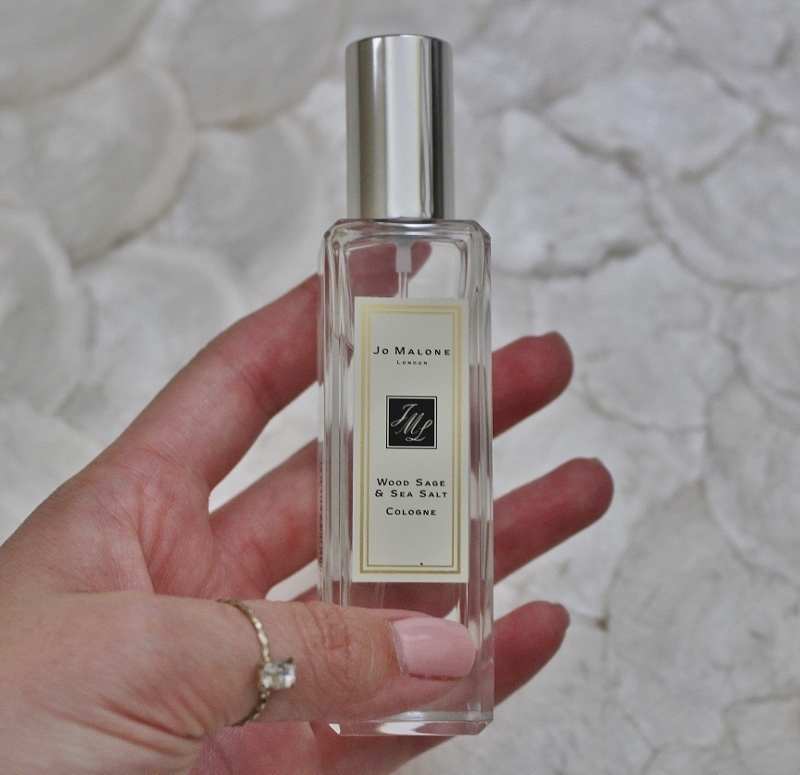 Is it bad that I had no idea about Jo Malone before blogging?? I now feel like SUCH a hick! Sounds like a great fragrance, and I am glad you had a god experience. I haven't mixed up my perfume in forever. I'm so picky with fragrances because I'm very sensitive to smells. One day I need to take the time to try Jo Malone, I've heard nothing but great things. I am so excited to give this a sniff! It sounds heavenly. I have a candle, not this scent, so I know how amazing these products are! Thank you ladies for your comments! I know scent is very personal and it's difficult to review for those purposes but I felt compelled to because I haven't been this crazy about one in a long time! I have a sample of one Jo Malone fragrance (something with Cardamom...I think?) and I absolutely love it! Very unique. I still love sweet fragrances too, though. Don't judge me! LOL. I can't wait to smell this one on you! Oh gosh, I won't judge you Gina! Everyone has their preferences! Like I said, I'm definitely not a perfume snob. And yes, there is a cologne with cardamom in it...I forgot the name too! I have read lots of good reviews on Jo Malone perfumes from many perfume reviewer. The notes of "Wood Sage and Sea Salt" looks so amazing. I will definitely try that one out whenever I visit my local store in near future.